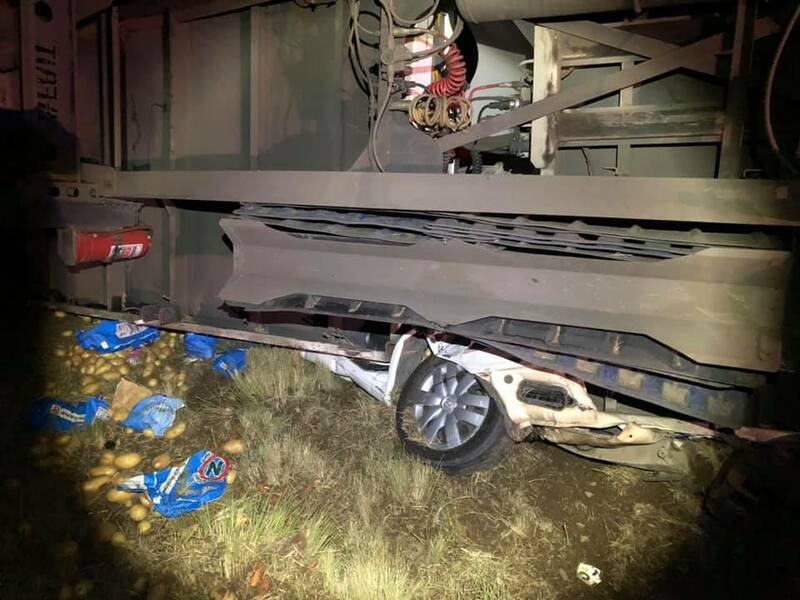 Two persons miraculously escaped death and serious injury after the light motor vehicle they were travelling in got caught between the axles of a heavy goods vehicle they were trying to overtake, causing the truck to overturn, landing on top of the car on the N6 between Reddersburg and Smithfield during the early hours of this morning. The passenger of the vehicle only sustained minor injuries and he claims the driver ran away after the accident. The driver of the truck and his assistant both sustained only minor injuries.